The American population has an unhealthy obsession with celebrities. From their homes and cars to clothes and jobs, many individuals aspire to mirror these celebrities in every aspect, including their lifestyle choices. The stars being idolized many times participate in activities that lead to destructive behavior. Often, they begin to abuse a substance, which leads to addiction. With stars constantly in the spotlight, their personal addictions become public. Although to society these celebrities may seem like their addiction has no real consequences, it does. The case of Justin Bieber and his millions of fans is a perfect example. The promotion of celebrities’ carefree attitudes many times glamorizes these behaviors to adults and impressionable youths. Justin Bieber was born in Ontario, Canada. Rising from humble beginnings, the 21-year-old had a quick and public rise to fame. Born to a single mother and an abusive, absentee father, Bieber was a prodigy at a variety of instruments, such as the drums, guitar and piano. Originally a YouTube star, Bieber boasts seven American Music Awards and six Billboard Music Awards along with countless other award nominations. His rapid ascension into fame has resulted in a wake full of arrest records and substance abuse. Although Bieber recently reemerged with a calmer, zen-like image, many of his fans have been negatively influenced by his public actions, as is the case with many celebrities. Bieber has been in the news for a variety of public mishaps, swirling with tales of alcohol, opioids and marijuana. He has been arrested for drag racing, a DUI, permeating a private jet with marijuana smoke and much more. To the public, some may believe that he is harmlessly partying, but where are the lines drawn between partying, behaving recklessly and addiction? A common link between most child celebrities entering into the spotlight at a young age is growing up too fast. Due to their career choices and acquiring large amounts of money quickly, many turn to using destructive substances. The Star explains that child actors are an extremely high-risk group for becoming addicts. Child actors are three times more likely to abuse a substance than the average American citizen. In many cases, parents lose control over their children because they have been thrust into the Hollywood lifestyle. Armed with freedom to do many things most children their age can’t, in addition to making large amounts of money, puts these child stars in a unique position to abuse their independence. Money is a gateway to substance abuse. Celebrities financially have many resources to fuel their addictions. Depite the high price tags of popular drugs such as cocaine and heroin, stars are able to continue their substance abuse problem, many times tragically leading to an untimely death. An article by Business Insider stated that substances such as marijuana, heroin, cocaine and alcohol are the most commonly used and abused by celebrities. The article points out that approximately 2.5 million people use cocaine in the United States and over 1 million use heroin, a number that is quickly rising. Elvis Presley, Marilyn Monroe, Heath Ledger and Michael Jackson are all celebrities led to an early grave due to their addictions. Sadly, throughout the years the media has been inundated with stories of many celebrities’ sudden deaths as a result of substance abuse. Stars, not unlike the hardworking, everyday American citizen, can be consumed with their non-stop fast-paced work environments. Many physicians have noted that stars are usually enabled by the people around them. An article by ABC News states that drugs such as heroin and cocaine make individuals believe that they can escape everyday life and increase their productivity. Their effects can also aid with people to keeping up with their constantly demanding, high-stress inducing positions. The article also emphasizes that there have been no studies concluding that there is a higher rate of substance abuse among celebrities; however, their lifestyles and surroundings may make it easier for them to do so. 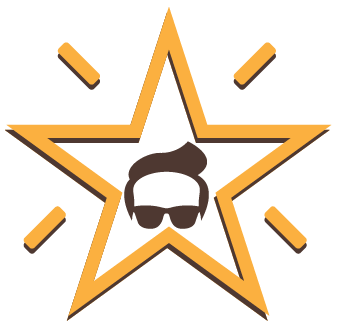 Many physicians have noted that stars are usually enabled by the people around them. Those around them are condoning their behavior many times because they are somehow benefiting off the celebrity or are too intimidated to address and acknowledge the situation. A USA Today article explains some of the reasons why celebrities have such a high likelihood of becoming addicted to a substance. Each individual has a variety of triggers that can make them want to use a substance. Celebrities may have somewhat different stressors, but they also have many similar ones to the general public. Each individual has a variety of triggers that can make them want to use a substance. Fame and work are two that have been cited with providing the intense need to use for stars. The article conveys that most people, not only celebrities, abuse a drug because it’s seen as an escape. 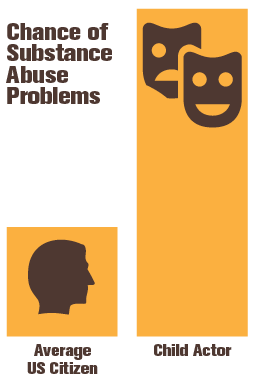 Addicts believe that any problems or issues they may be facing will disappear if they use, although this is not the case. Abusing these substances leads to more problems, not less. With the worldwide obsession and phenomena of social media, celebrities are negatively influencing impressionable teenagers and even adults. Now people are able to see what most stars are doing at a variety of times throughout the day. Stars are idolized and anything they promote themselves doing, like abusing substances, on social media like Facebook and Twitter is being seen and imitated by society. No one is immune to addiction. 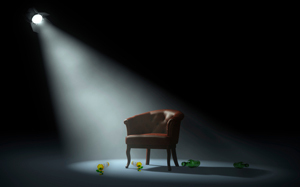 Celebrities and the average, everyday American citizen can both fall into substance abuse; however, some researchers believe that celebrities have more financial means and opportunities to become an addict. Celebrities have a powerful persona presented to the public. Their actions influence millions of people. Once stars are able to defeat their addictions, it will be a valid lesson for the whole world. Seaside Palm Beach is an all-inclusive rehabilitation facility rivaling many of the top resorts in the world. We offer onsite medical detox from expert physicians and a multitude of specialized therapy programs. Seaside Palm Beaches’ comprehensive, holistic approach to addiction treatment has been successful for over two decades. For more information, please call (888) 997-3274.